Jesse Schell is the CEO of Schell Games and Professor of the Practice of Entertainment Technology at Carnegie Mellon University. He was also a past Walt Disney Imagineer and the author of The Art of Game Design: A Book of Lenses. Here’s Jesse’s advice in response to my 7 questions for students. 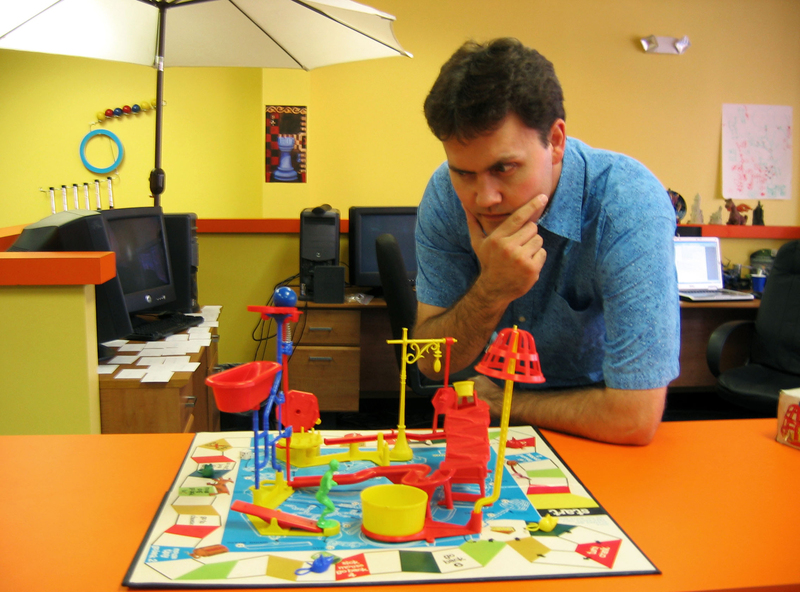 I am the CEO of Schell Games, and a professor at the Entertainment Technology Center at Carnegie Mellon University. When I was a teenager I worked in a show troupe at a theme park, and the head of the troupe, who was a magician and comedian, taught me a huge amount about what works and doesn’t work in entertainment. Finishing projects is more important than starting them — I wish I had reined in more of my early projects so I could have finished them. Initiative. Starting and finishing your own projects is the most important thing in the game industry. The biggest mistake is saying “I’ll work anywhere, as long as it’s games,” and then sending out hundreds of resumes. The right path is to figure out where you would most like to work, and focusing all your energy on that. You might not end up there, but the act of getting focused will help you end up in the right place. I’m inspired by all kinds of things. Possibly my biggest influence is the work of Elbert Hubbard — a nineteenth century writer and craftsman. Be original — make games that no one but you could make.